Spooky, Pumpkin, Costume, Treats! 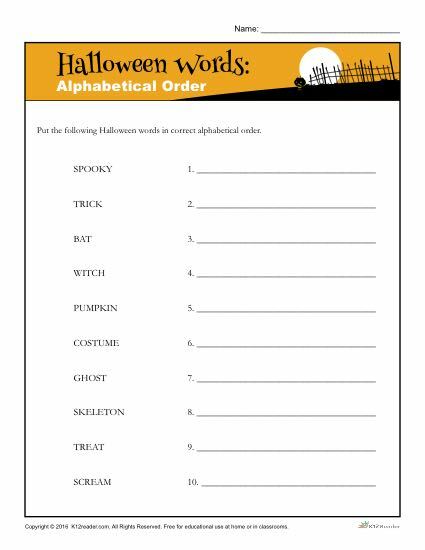 Can you put these Halloween words in alphabetical order? Students will practice rewriting the words listed on the worksheet in alphabetical order with this fun classroom activity. Ideal for 2nd-4th Graders, but can be used where appropriate.